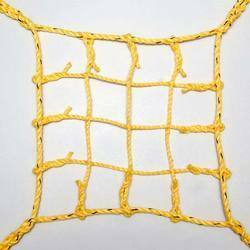 We have designed Construction Safety Nets, to protect workers from casualties at construction sites. 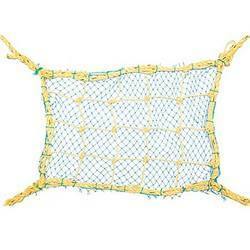 Made from polypropylene rope, these nets are known for their superior durability and keep the load balanced and safe. These are designed as per distinctive engineering concepts and are offered at reasonable prices. Our clients can purchase these products in standard sizes. 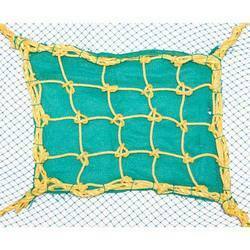 These safety nets deliver fall protection solutions for construction sites and are appreciated widely. 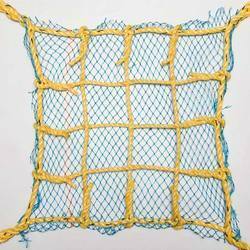 Double Cord Safety Net used in the construction industry for fall arrest and to avoid stones or any other building material from hurting life and property below. The third layer helps in preventing the finest gravel to fall and hurt anyone below. We are offering Safety Net to our customers. 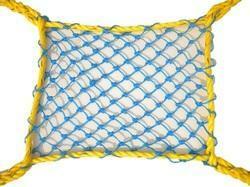 Looking for Construction Safety Nets ?